Stupid Money (n): The money that you should have been able to save or never spent in the first place but you were lazy, just plain forgot or made a bad choice. I don't want to even know how much I have paid the library this year. Based in how much we love the library, it was a bunch. It should be a free resource but when you forget to turn in 8 kids DVDs for a week. Ka-ching! Seriously so annoying. You buy something and it comes with an awesome rebate. You have every intention of sending it in and then before you know it, it's passed and you didn't save the $5- $20 bucks. dang it. I'm not the best coupon user and I buy lots of things that never or hardly have coupons. So when i do see a coupon for something I actually use, I get all excited , cut it out, put it in the organizer and then forget the organizer whenever I go to the store. And as I'm checking out I remember that I had a coupon for that. grrrr..
You get a gift card for a birthday or Christmas or baby shower or wedding shower... you think you are going to wait and use it on something good or wait until you have coupon to use with the girt card. And a year or so goes by and it starts losing value or it's been swimming around your purse so long that you just lose it. There goes $20-$100 . bye bye. I'm not the best at reviewing my monthly bills or bank statements on time. I have caught, too late, some mystery charges or late fees or over drafts that had I caught sooner. I could have gotten removed or reduced but I didn't so they got me $5-$40 at a time. In the past few years, the red light cameras have gotten us ( whatever) and J got a speeding ticket going from building to building at work. There was $200 a pop right there to get them fixed. Just think what we could have done with that money. I'm talking about stuff like Blockbuster online (we didn't use for 4 months because we were too busy), Netflix( always forget to use ), consumer reports...stuff like that. Apparently, we had been paying $20 a year for Consumer reports for 7 years. So it's not a ton of money, but we weren't even using it and had completely forgotten that we were paying for it. J leaves in such a hurry in the morning that he usually doesn't have time to make his lunch. If he did it would be a deli sandwich with some yogurt and fruit maybe. Healthy , right? But when he forgets what does he buy at work? A deli sandwich , chips, and some fruit. Ahhhh.. So that's $8 bucks a pop almost five days a week on top of what we spend on groceries. If we can cut back on this kind of stuff maybe we can afford that trip to Disney World next year. Yipee! Yes, yes and yes! Every once in a while I run a Quicken report and nearly vomit from how much we spent on useless items! I can totally relate. Oh, I hate those reports. Our online bank has one and It's like...wow... how did we buy food? One of the biggest things I've done to save money is to use the library. I read more than 100 books a year - and by getting them at the library I am saving a ton of money. The food one is the one we are guilty of a lot. I plan out our meals - and then someone has a friend over or we get busy - and end up throwing stuff out. It makes me ill to think of the money that goes with it! i'm guilty of the food issue. and the lunch issue but getting better. this is more due to the fact that i have a complete and total aversion to leftovers or food that is more than a day or two old (like many fruits and veggies). You don't like leftovers? I'm so lazy I love left overs because All I have to do is reheat and eat. My problem is that we spend money on what I call stupid things... drinks at the check out lane that cost much more than if we went back to buy a drink in the drink aisle, bottled water (c'mon! ), and so much stupid stuff. My husband went on a float trip and bought a captain's hat from walmart. Yes, it's funny and he loves that, but really? When I was trying to pay bills today and wondered where our money went to and then realized where, I was pissed. Time to look at our finances! Yep.. I hear ya. I wish we actually had money saving every month. My hubby always wants to redo something in our house and keep asking him where the money tree is that is apparently growing in our back yard. He's not the saver between us that's for sure. This is a great list! I'm guilty of several of these myself. So glad you found my blog! Happy to follow back! Thanks. You have such great posts. I'm glad to have you. I am in the same boat! We spend so much money on polar pops and iced coffee! It's so hot and we are always thirsty when we run errands-why can't we just remember to pack a bottle of water? Oh I know the feeling. We always remember drinks for the kids but not for us. Thanks for stopping by. Found you on Six Sisters'. Throwing away food is one of our big problems. Need to plan a leftover night and MAKE my husband take his lunch! Thanks for sharing. Let me know if you get him to do it. My hubby always has the best of intentions. Good reminders, all! Thanks for this list. I really hate throwing food away since the cost of it has risen so much recently. I have been on a mission to use everything even if it means eating the same food many meals in a row. 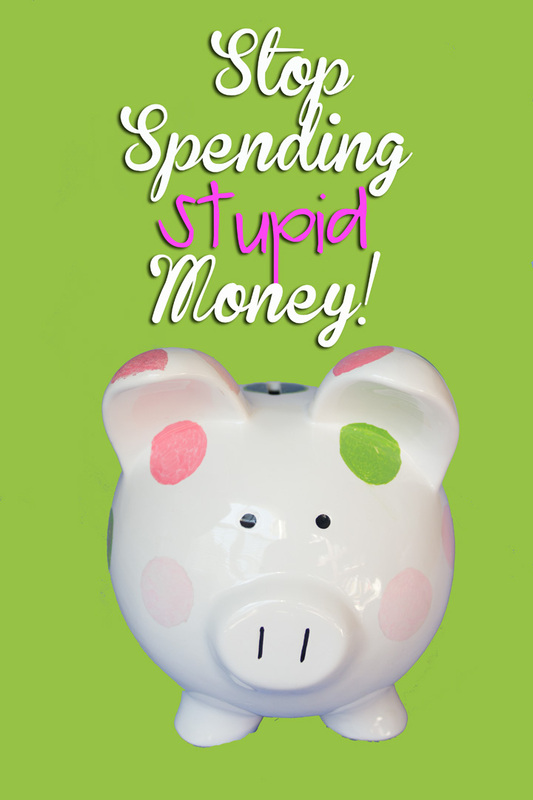 Lots of ways to save if we play it smart, for sure! No prob. I know we can all save a little money if we only had more time or just wrote it down. Thanks. If it makes anyone just stop and think for a minute, save a few bucks.... That's what I wanted. Great list! You are so right on all of it! Thanks so much for sharing! Thank you so much. Thanks for having me! Hi, I just found your blog through a linky party, and WOW, you have made me feel so freakin' frugal! Thank you, thank you! By the way, I just beame your newest follower, yay! Would be so appreciative of a follow back! Thanks, Sue. I'm glad I could help. I'm following you back.